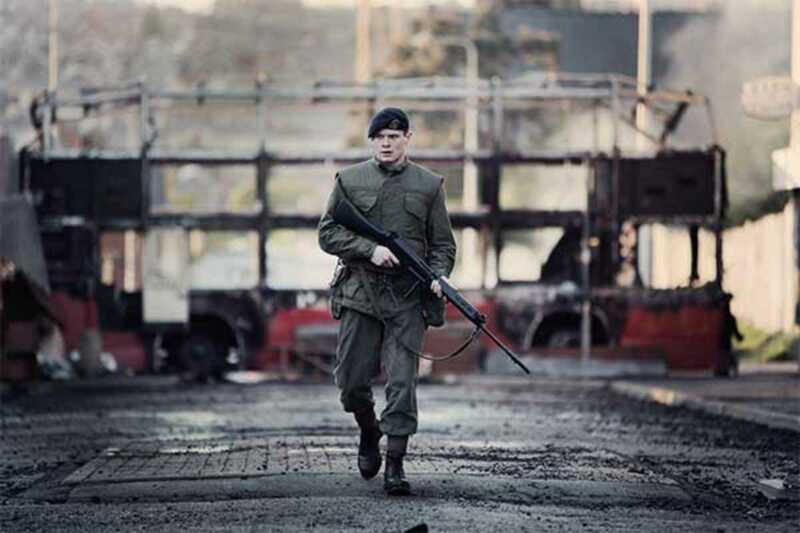 In ‘71, director Yann Demange tells the story of one such squaddie, Gary Hook, who accidentally becomes separated from his unit during a riot on the streets of Belfast. Caught behind enemy lines and hunted by Protestants and Catholics alike, Hook is left to navigate an unknown city where violence can spark at the slightest action – even his English accent could prove fatal. Brilliantly played by lead Jack O’Connell, who has recently courted the critics with award-winning performances in Starred Up and Unbroken, Demange’s film is a triumph of both performance and cinematography, with its ominous soundtrack and urban wasteland setting making for a fantastically tense thriller.